At First United Methodist our goal is excellence in ministry with all children. 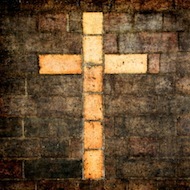 To that end we are working to broaden the scope and depth of our ministry with children. We have three key programs already in place. In addition, Children are heartily welcomed to join us for worship, although a staffed nursery is available during the Sunday School hour and worship services in order to provide parents with an opportunity for rest. Children’s Sunday School: Our children’s Sunday School class is organized by Julie Thompson. We use the excellent, multi-media Deep Blue Kids curriculum from Cokesbury. 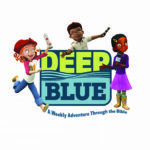 There is a smartphone app, Deep Blue Adventures, that allows children to continue to have fun while learning Bible truths and God’s Word to share with friends throughout the week. The app includes a parental dashboard feature, mini games with Scripture jumble, trivia, Break Out, and a glider game. In addition they will find videos, customizable avatars, and fun weekly mini quests. Our Tweens & Tweens class is taught by Pat McCoy using Bible-in-Life materials, including Pix, a comic book style Bible story illustration. Youth Group: Youth Group will resume meeting in the Fall. There will be opportunities and activities during the summer for youth to gather, be in service, and be in fellowship. Youth group is open to middle school and high school students. Worship: All children of all ages are heartily welcomed in our worship services. We know that they will not always be quiet, but Jesus didn’t say for them to be quiet, he said “Let the little children come to me, and do not stop them; for it is to such as these that the kingdom of heaven belongs” (Matthew 19.14).